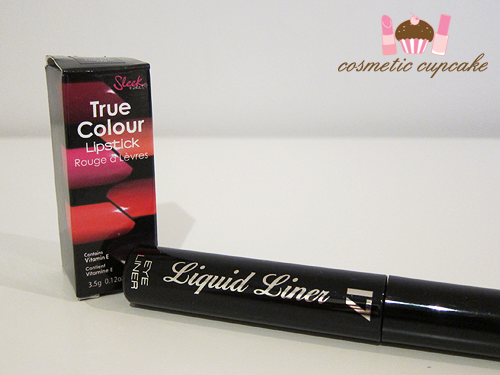 Cosmetic Cupcake: A Christmas swap with Aysh! The yummy choccies are obviously all gone now! I think I ate about my weight in choccies over the Xmas break haha. 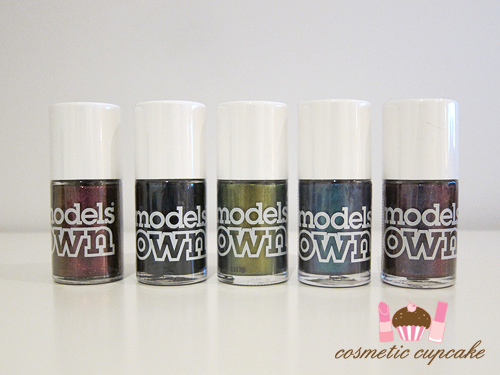 From L - R: Pinky Brown, Emerald Black, Golden Green, Aqua Violet and Purple Blue. The ENTIRE Models Own Beetlejuice collection!!!!! OH. MY. GOD. And they are every bit as stunning as I imagined!!! I'm currently wearing Purple Blue and it's BEAUTIFUL!!! Swatches will come later as I always have a really hard time capturing duochromes/multichromes etc doh. From L - R: Green,, Grey and Lilac. 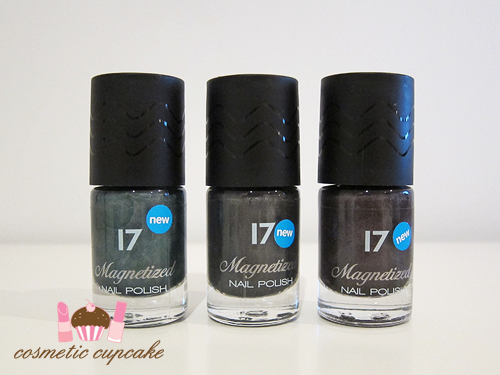 As if the Beetlejuice polishes weren't enough, Aysh sent me 3 17 Magnetized polishes. WHEN I SAW THEM I JUST ABOUT PASSED OUT. I have wanted to try magnetic polishes FOREVER!!! XDDDDD They are SO awesome!! 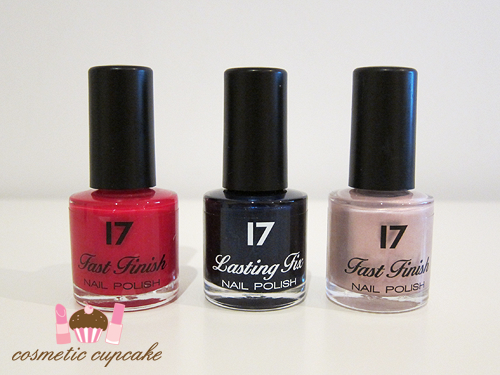 From L - R: Baked Cherry, Midnight Sapphire and Lilac Storm. 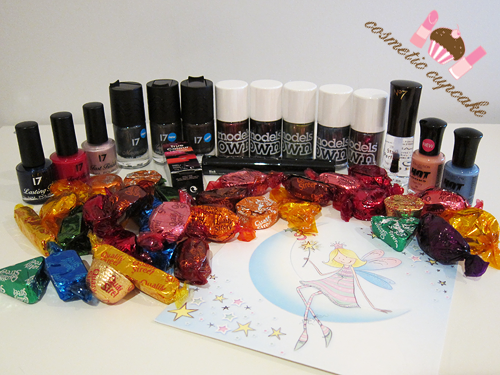 My dearest Aysh thank you so much for your beautiful Christmas package ♥ ♥ ♥ I can't wait to try everything out! Thanks for looking ladies =) I hope you're all having a good start to the year! You got a lot of awesome stuff. Love nail polishes! The colors look beautiful and opaque. Nice swap girl. A lot of cute nail stuff. wow! she spoiled you! :) the nail polish colours look amazing! Hehe *cheeky grin* Awwww so glad ya like all your new polish's my lovely friend! Can't wait to see all your amazing swatches! Have fun! ;D Mwah!